They are deliciously sweet & juicy… easily identifiable by their bright red colour & exterior seeds – they make us think of summer. Enjoyed freshly picked, whizzed into a smoothie or a juice, served with cream (think Wimbledon tradition) or as part of a dessert – they are synonymous with happy days… especially when you consider the health benefits! Which is why we love these recipes from a handful of bloggers in our community. and Geertrui of Truitjeroermeniet shares a recipe for Strawberry Yoghurt Mousse tarts… yummy! Finally- we bet that you didn’t know that you could make Spicy Strawberry ketchup… well, Sylvain of Un Peu Gay Dans Les Coings shows you how! 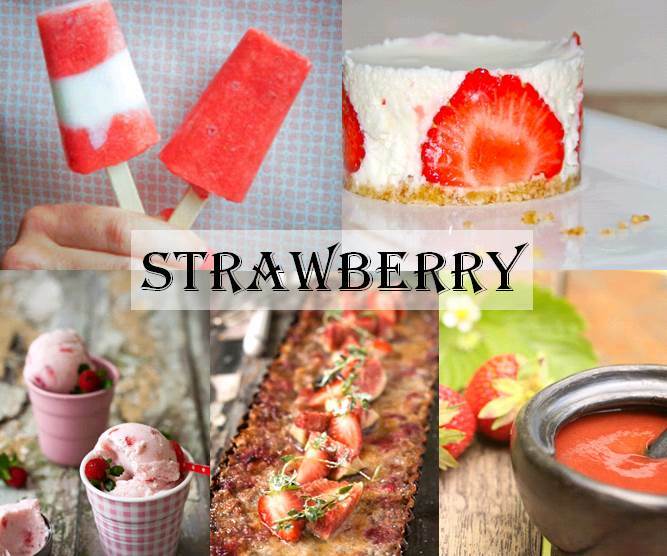 Do you have an strawberry recipe that you wish to share with us? Just add the link to the comments section below!